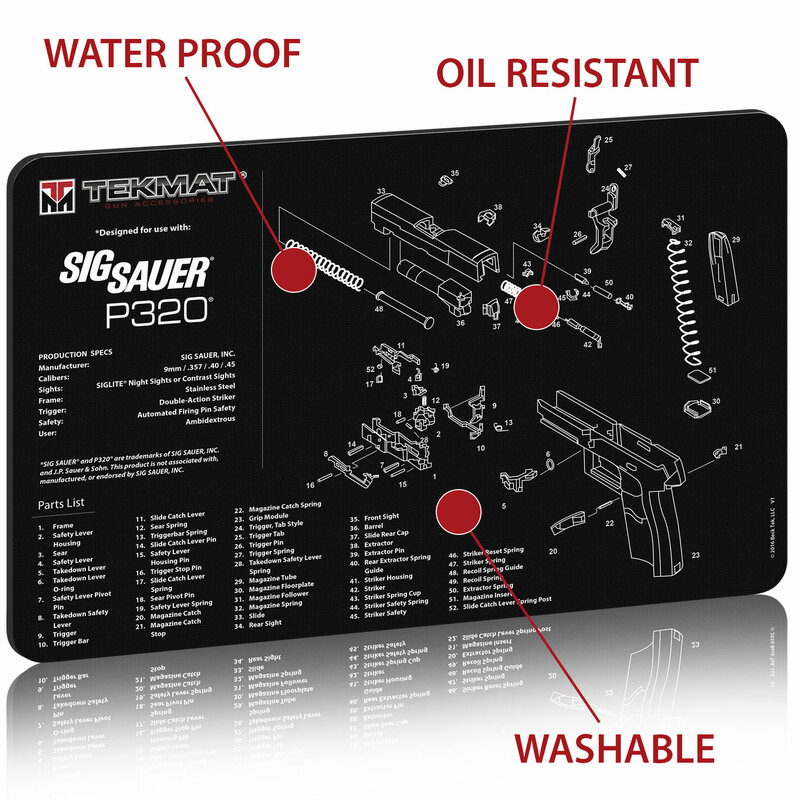 TeKMat is not your grandpa’s gun cleaning mat! 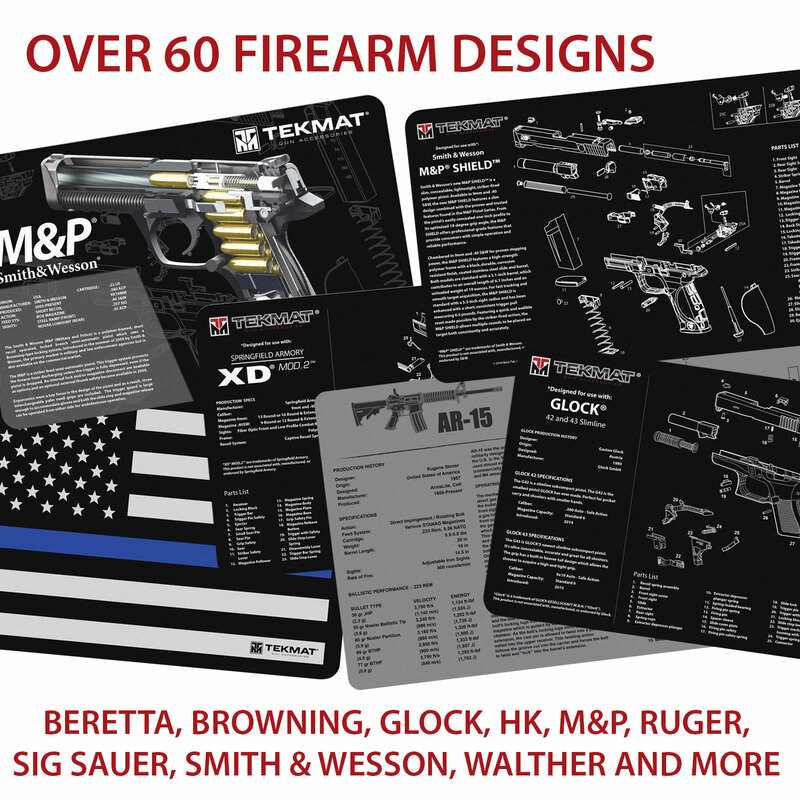 With over 60 firearm designs, including TekMats for your Beretta, Browning, Glock, HK, M&P, Ruger, Sig Sauer, Smith & Wesson, Walther and more you will be able to protect your gun and your workspace in style. 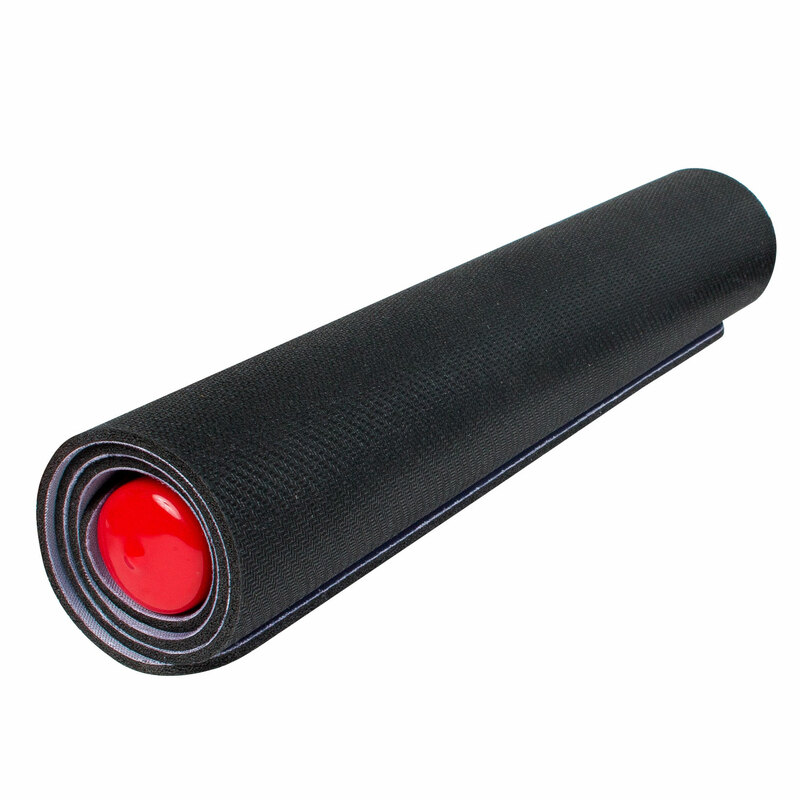 Each mat is 3 mm thick and large enough to protect your firearm. 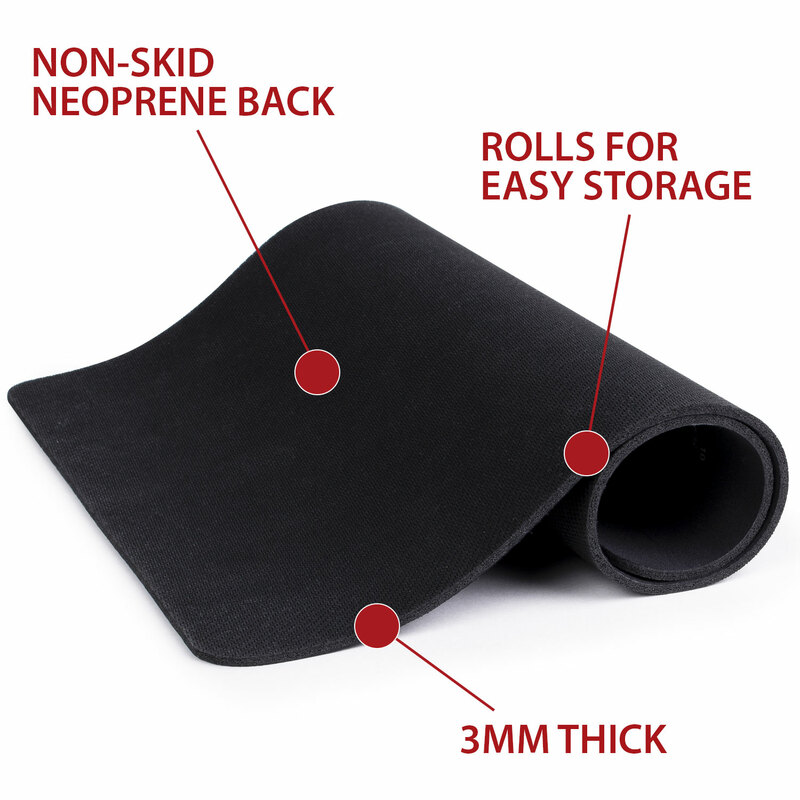 The non-skid neoprene back grabs onto your workbench while it also keeps harmful chemicals, oil, and dirt from penetrating down to your desk or your wife’s kitchen table. The mat it pliable and will easily roll up for compact storage. The soft thermoplastic fiber surface will protect your gun from scratching. Dye-sublimation printing ensures that the design will not fade or wash away. The heat transferred printing impregnates the ink into the fibers for lifetime durability. 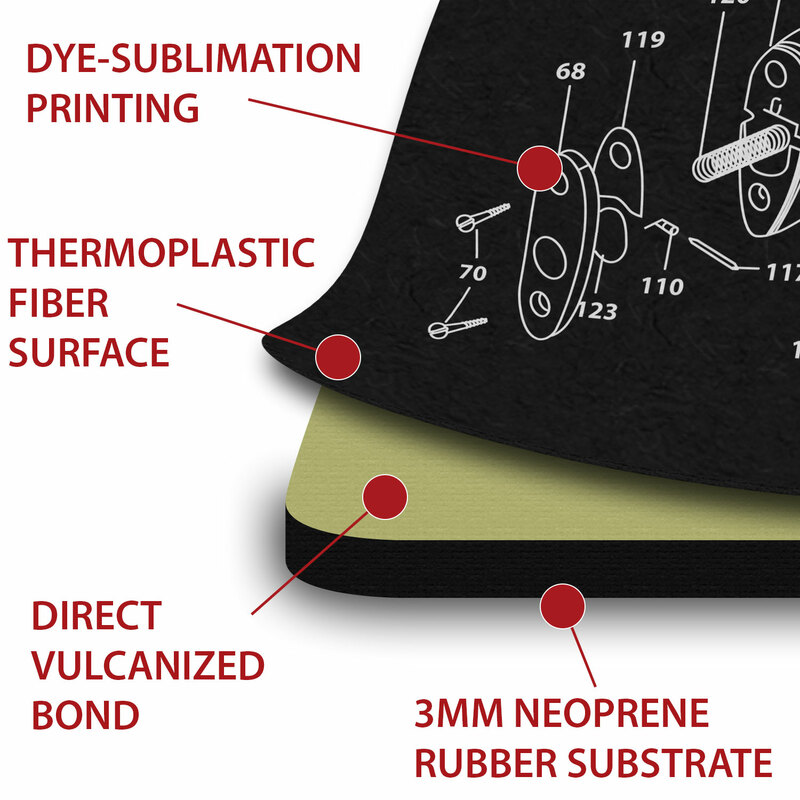 Direct Vulcanized Bond connects the thermoplastic fibers to the neoprene so that fraying is eliminated. Mats are washable, waterproof and oil resistant. 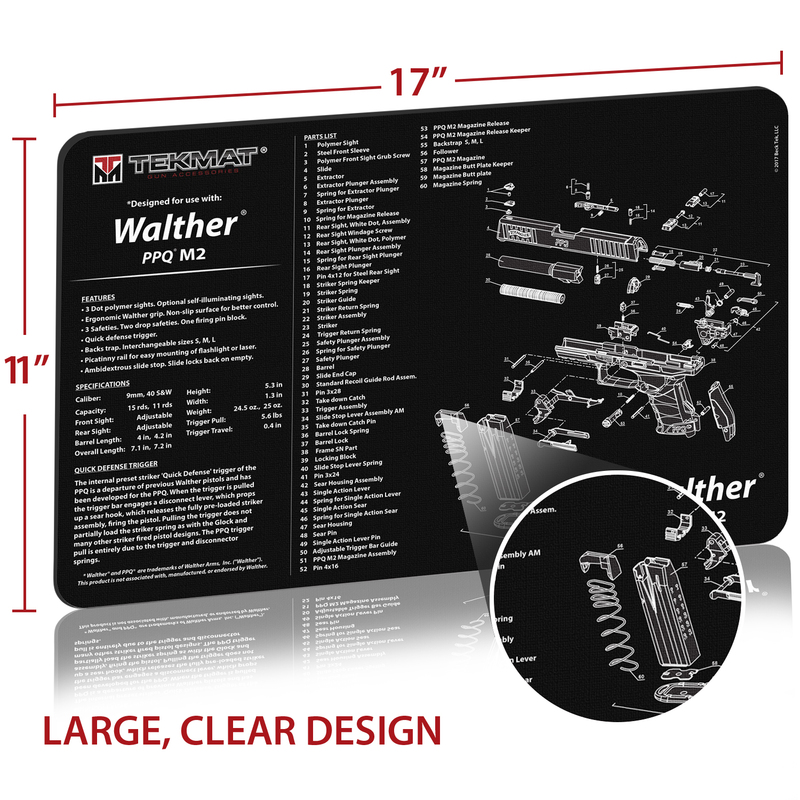 Each mat is designed to provide additional information on your firearm through the expanded piece by piece view or cutaway design. Additionally, a brief history of the firearm educates about the firearm. Each of our mats are designed in Salt Lake City, Utah and are built to last a lifetime. Each mat is a great accessory to every firearm and it is backed by a lifetime warranty.